Due to the inclusion of cartridges, waterless urinals necessitate special maintenance. According to manufacturers, while cleaning the outside of a waterless urinal is pretty standard, the process with which to remove and replace cartridges requires distinctive care. Most waterless urinals are crafted from customary porcelain or high performance composite materials. Cleaners should wipe down urinals from the outside-in with a soft cloth and a traditional disinfectant cleaner, says Crowe. It is important not to use bristled brushes or harsh chemicals, both of which can cause scratches and other damage to the unit’s surface. These small cracks can harbor germs and odors, and make daily cleaning more difficult. A bioactive cleaner may help stop persistent smells associated with urine and uric salt, Schneringer says. Many chemical manufacturers offer specific waterless urinal cleaners. “It cleans up the urine and is actually live bacteria that ends up eating the bad bacteria that causes the odor,” he says. 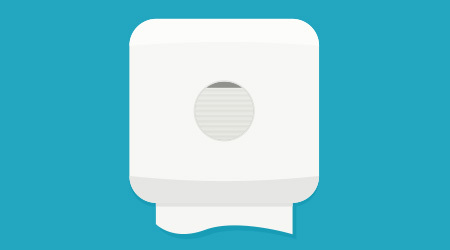 There are a few signs to watch out for when it is time to switch out a urinal cartridge. The unit itself may be experiencing “slow flow” issues — causing urine to flood the unit — or sealant may be seeping through the top of the device (usually visible in a blue color). To check for flow issues, janitors simply pour one to two cups of water down the drain to measure drain speed. A slow flow rate may implicate a full cartridge or piping issues. To remedy the problem, janitors should first put on long rubber gloves and remove the cartridge using the manufacturer’s cartridge extractor tool, or key. Cleaners should then check the mouth of the drain for clogging and flush the housing with 2.5 gallons of hot water and disinfectant solution. It is recommended that staff then wipe the inside of the housing, and flush the housing a second time, before inserting a new cartridge. Once the cartridge is fully inserted and locked into place, the sealant solution needs to be refilled. It is important to fill the cartridge with fresh water before pouring the sealant into the device. Cleaners can check the level of sealant anytime by placing a pipe cleaner, toothpick or strip of paper into the top of the cartridge. In between cartridge refills, building service contractors should clean waterless urinals daily. Karen Pilarski is a freelance writer based in Milwaukee.